I hope and pray that you are keeping well and this special month is full of blessings for you and your loved ones. I know many of you are volunteering your time, resources and energy into projects for the Islamic Society of Britain and others, may Allah (swt) reward us all for all that we seek to do. Over the last few weeks we have activated [email protected] again, this year especially for the month of Ramadan. Maryam Duale and Zainab Ahmed (both from Manchester) are encouraging people across the country to share their blessings with those who are not Muslim. This has proven to be a great way of encouraging neighbours, colleagues and even strangers to meet with one another…people meeting people works well in tackling misconceptions and raising awareness not only about faith and spirituality, but also about issues that concern all of us in Britain. We’ve also been moving steadily towards Living Islam, a festival that brings 1000’s of us together to share in the bounties that it brings. You may have seen the new video of Dawud Wharnsby and Zain Bikha – old friends of ISB – encouraging us all to have a great time at LIFe! 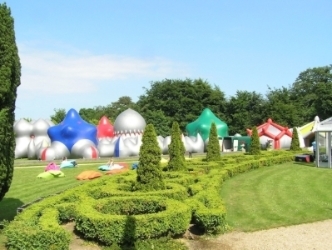 I’m really looking forward to reliving old memories and making new ones at this years’ festival…just looking at the videos from 2009 and 2011 makes me feel nostalgic of the good times I’ve spent in Lincolnshire. These are memories that will stay with me for life! Lastly, Allah (swt) tells us of the bounties that await us throughout this month, one of which that is especially important for me is the opportunity to draw closer to Him than ever before. To feel Him by our side and in our hearts in a way that is hard to come by the rest of the year is a real treat that gives us the spiritual energy we need. By seeking out Allah’s mercy, forgiveness and protection from the punishment in the Hereafter, we draw closer to Him and He draws closer to us. By sharing in the good work that we do at the Islamic Society of Britain, we can help others draw closer to our Lord, encouraging others to benefit from that which benefits us. With this in mind I encourage you to consider donating your zakat, sadaqa and other donations to our work. You can donate to the Zakat Trust and even specify where you would like your donations to be used. Some donors are especially interested in supporting our work with young people whilst others have a connection to Islam Awareness Week; many others are happy for their zakat and sadaqa to be used wherever there is a need. We rely on your donations to support both local and national projects, and this year we hope to invest them in building stronger and wider grassroots both within and beyond our branches. Grassroots work here in the UK underpins ISB; this is where we need to make a real difference. Join us by supporting and donating here. You can find out more about the Zakat Trust here. You’re always welcome to be in touch with me, your support means a lot. Please keep your ISB family and its supporters in your supplications during these blessed days and nights. 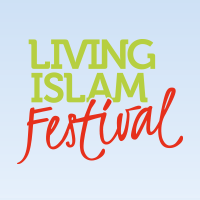 Look forward to seeing you at the Living Islam Festival on 31st July! If you have not yet booked your festival experience, why wait any longer? Prices will go up on 1st of every month and you can save about £20 on tickets for a family. If you have booked your tickets, then there is something very important we would ask you to do. 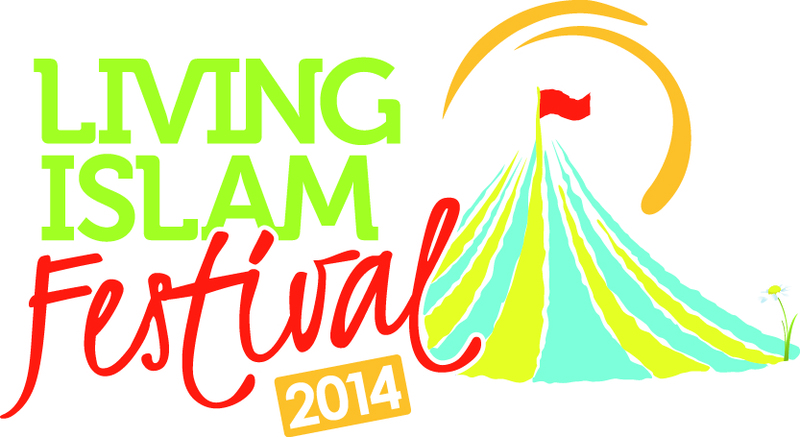 Please encourage your family and friends to make that move and book their place at the Living Islam Festival. It is, by far, that personal encouragement and recommendation that makes the vital difference between families thinking about going (as so many are! ), and families who make it happen! We have spread the word through television and radio advertising, and through emails and Facebook… but believe us when we say all this awareness still needs you to act: make a phone call, send a text message, get talking! The best plan to get the most out of your summer countryside experience is to share it with your friends and family. Book your tickets today www.livingislam.org.uk/book. On Saturday 21st June, our young ISB members (12-16 year olds) met for a second Young Muslims Training day at Staffordshire University. ‘Preparation for LIFe’ was designed to help our young people get ready for The Living Islam Festival 2014, but also provide them with skills such as: group facilitation, how to do reminders, and how to handle media interviews, that they can use to help better themselves in everyday life. As usual the programme was very well attended. 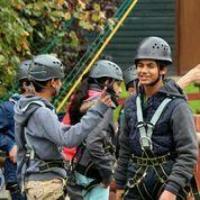 Young people from all over the country; Manchester, Birmingham, Leicester, Slough and Glasgow came for the day! YMers were divided into age-based mentor groups, and were taken through sessions which helped develop their understanding of group management, listening and empathy skills, and conflict resolution. We also discussed Qur’an and hadith on subjects such as: honesty, peace, mercy, love, prayer and fasting, and examined how to formulate an effective reminder through our own lived experiences. We were honoured to have the wonderful Naeem Raza – who managed to make time for us despite being in the middle of organising a very busy fundraising tour. We also had a great team of mentors: Tahera Saleem, Dr Shafiq, Dilwar Hussain, Hamza Fletcher, Hasan Iqbal, Sakina Fletcher and Lubna Ashraf to spend time with the young people and ensure they got the most from the programme. As usual our amazing registration team Nureen and Maryam Sadiq ensured the day ran as smoothly as planned. We also looked at how to celebrate ‘30 years of YM’ and our YMers impressed us with their creativity, energy and enthusiasm with ideas for a fundraising event, a new YM website and plan for a YM–led social action project. 15 year old female: The best part was going in the studios! 12 year old male: We need more of these programmes! 14 year old female: I liked the workshops the best, it was fun to get together with other Muslims! 12 year old female: It was very good and very well organised. [email protected] is back and with your help it can be bigger than ever! Why not join ISB members and Muslims across the country and host a [email protected] yourself. You can organise a [email protected] event by inviting your neighbour, and old friend, one of the parents on the school run, or perhaps an elderly person down your road for iftar at your house or in a restaurant. Don’t forget to share a photo on social media and send us your stories, we’d love to inspire others through your experience. Or you can sign up to host a non-Muslim family for an Iftar on our shiny new website www.dineatmine.me/getinvolved. All you have to do is answer a few simple questions and once we have your details we’ll match you up with a family in your area. Share the Ramadan experience and connect with your neighbours, colleagues, friends, and the wider community. “Thank you for the opportunity to host an Iftar dinner at our house. Ian and Sue were our guests last night for iftar dinner and with the help of our dear neighbor Aisha, we cooked up a Turkish/Pakistani feast. Everyone had a great time, ate well, and promised to stay in touch for more socialising throughout the year. Please allow more people like Ian and Sue to get to know and connect with Muslims across the country. The Big Iftar 2014 is coming to you, Bigger and Better! You can see upcoming Big Iftar events on the website, as well as other information regarding how to organise Big Iftar events, resources and other information. ISB is supporting this and asks you to organise something in your neighbourhood, at your workplace or even in your local park. Let us know what you do. And some photos and people’s comments too.